“Daniel and I have always fantasized about flying private, but it’s a luxury that we never thought that we would be able to pay for,” Ms. Raymond said. The charter was a “SuiteDeal” from the private jet company JetSuite. These last-minute deals for one-way private jet charters within the United State cost between $500 and $2,000, and the money the Raymonds paid was comfortably within their budget. The Raymond’s $500 trip is a more extreme example of how little flights on private jets can cost, but industry experts say that a trip on one today is less expensive than it ever has been in the past. According to Virtuoso’s research, the average price for a private jet flight declined 13 percent from 2014 to 2016. The Miami route made its debut two years ago and has been so popular, said company founder Rob Wiesenthal, that this season, the flights will be offered four days a week, instead of the two days that they previously were. 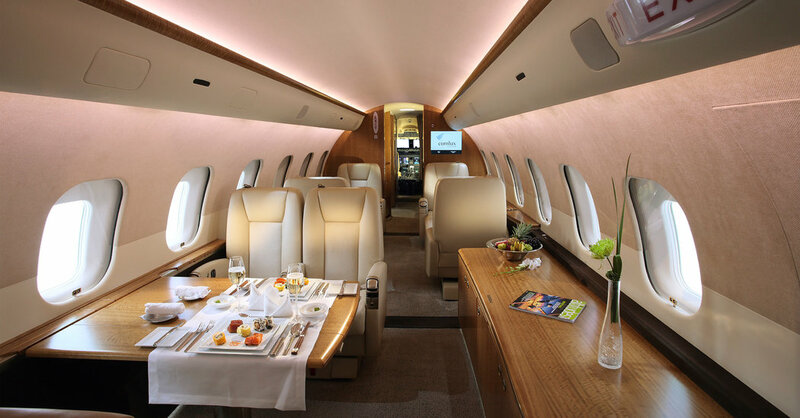 Empty legs are inexpensive because fliers usually don’t have a choice in the route, but some travel agents can find favorable rates for customized charters, too.